Song Canary Personality, Food & Care – Pet Birds by Lafeber Co. The song canary is one of the most popular in the canary group, and is typically sought out for its beautiful melodic song. As the name implies, song canaries are bred to sing, specifically male canaries. Female canaries vocalize mostly with chirps, while males can develop elaborate songs. Most people buy a canary for its attractive, melodic song. That’s what the canary is most famous for, after all, and that’s probably what you will want in this beautiful little bird. There are several types of song canaries, including the American Singer, the German Roller, the Spanish Timbrado and the Belgium Waterslagger. These canaries are wonderful singers, but it takes good breeding practices to produce a canary worthy of its name. Not all canaries are created equal, nor are all canary breeders. Song Canaries come in a variety of colors, from bright yellow, like the famous Tweety Bird, to brown, grey, white, and variegated. They are originally from the Canary Islands, and have been a popular pet in Europe since the 16th century, perhaps even earlier. The canary today is perhaps the most domesticated of the companion birds. It does not exist in its captive form in the wild, and never has. The wild canary is a small, greenish finch-like bird, ordinary with the exception of its song. The colors, shapes, and songs that are common with canaries today are wholly a result of careful selective breeding for desirable traits, much how the many breeds of dogs were produced. 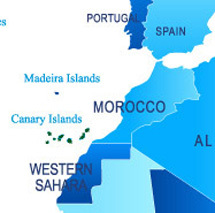 The canary was named for its place of origin, the Canary Islands; the islands were named after the dogs kept by the islands’ residents, more specifically after the Latin designation for dog, canis. The original canary was nothing more than a greenish-colored finch, nothing out of the ordinary — except for its song. Europeans fell in love with the canary’s song, and began importing them in the late 1500s. Eventually, the Europeans began breeding these birds and capitalizing on small mutations, developing canary breeds that hardly resemble each other today, and certainly don’t resemble their wild ancestor. Canaries aren’t fragile birds, and can be acclimated to cold weather in an outdoor aviary, though they are more appreciative of a temperature of about 75 degrees (aren’t we all?). They are, however, sensitive to changes in the household, fumes, and temperature changes, if not acclimated properly. Song canaries do well on a good canary seed mix and lots of fruits, veggies, a high-protein source, and egg food. Lafeber’s Premium Daily Diet for canaries is formulated to provide the ideal nutrition for canaries. In addition, canaries especially like greens of any kind. They are not color-bred, so they don’t need special color food. When properly cared for, a canary can live 15 years or more. Canaries are easier to care for and do not require the time commitment that many companion birds do, though this sensitive bird does need a few minutes of daily care to remain healthy. Most people do not keep the canary as a hands-on pet, though hand-raised canaries are quite friendly and are able to be handled. It’s unlikely, however, that you’ll find a breeder that’s exclusively hand-raising these birds, though you might be able to special order one. The canary’s song depends largely on the type of canary. Some canaries will sing a variety of songs, while others are trained only to sing in a certain manner. Yes, canaries have to be trained to sing, which is why finding a good breeder is so important. Many breeders will keep an “expert” singer, a canary with a particularly masterful song, in a cage along side of his young males. The youngsters learn from this maestro, and will hopefully pick up the essentials of beautiful singing. Many breeders show their canaries, and will keep the best singers for show purposes, selling the others to pet shops. This does not mean that you will only be able to buy “inferior” singers. On the contrary, these birds may know more about singing than a canary without similar training. The males are the singers of the species, and will generally begin singing “properly” after 6 months of age, when they reach maturity. Before then, it’s hard to tell which canaries are the real singers and which should stay in the audience. The hens can make great pets too, but won’t sing as well as the males. Don’t underestimate the appeal of the hens, however; you will need one if you want to breed your pair (which is a lot more difficult than you might think!). The only true way to tell a male canary from a female is to hear the mature song, though the occasional female can hold her own with the males, at least until the boys mature and become better singers. The quality of song depends on the type of canary. The Hartz Mountain Roller’s song is like soft, classical music, and, in general, he sings with his beak closed; the Spanish Timbrado is louder and has a more high-pitched, sharp tone; the Belgium Waterslagger has the lowest and highest range of notes of all the song canaries, and is noted for its water notes: water drops, rolling water, boiling, and bubbling water — he sings with his beak closed, but will open it for louder notes; finally, the American Singer, is noted for its large size and diverse, sweet tone. Red factor canaries are not song-type canaries (they are of the color-bred type), but some individuals also sing well and many people buy them for song, as well as attractiveness. Canaries may cease singing during a molt, usually for a period of a few months during the year. This is normal. Boost the bird’s nutritional intake at this time and reduce the amount of light it receives per day. A canary might also stop singing due to poor health or the presence of a dominant canary in the same cage making his life miserable. When choosing your canary, take a moment to listen carefully to the young birds before you buy them. The only true way to know if a canary is a good singer is to hear him yourself, though young canaries will only sing a “baby song,” so you might have to buy your canaries when they’re a little older. Don’t take the breeders word on the quality of the singing unless you trust the breeder and have dealt with him or her in the past. You can also buy canary training CDs or tapes to play for your young singer.